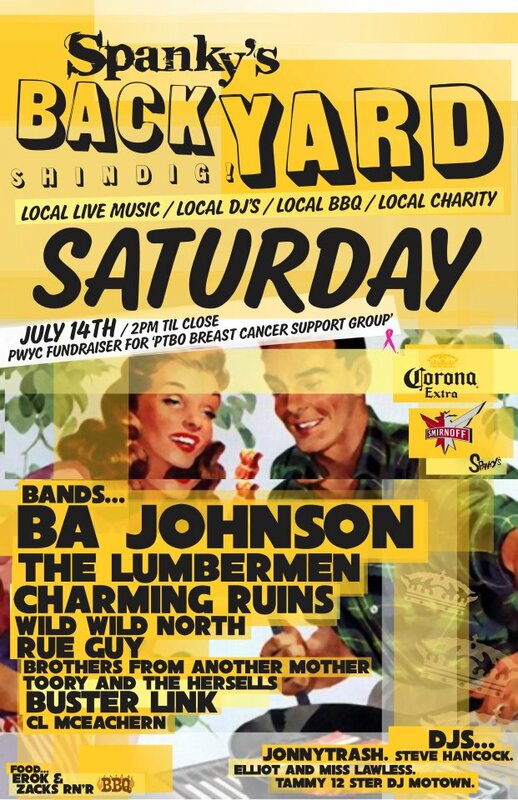 The back parking lot at Spanky's is a place to be Saturday, July 14th. They have a special permit and licensed area, where local bands and DJs will be performing. It's also a fundraiser for the Peterborough Breast Cancer Support Group.